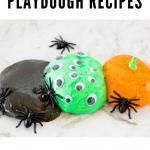 We have a great selection of Halloween Playdough recipes for kids for a spook-tacular family fun! Halloween is one of our all time favorite Holidays. We love really getting to the halloween spirit with lots of Halloween crafts and Halloween themed foods. 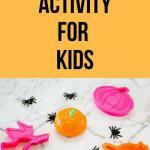 If you are looking for some indoor activities with kids, this no cook playdough is perfect for some Halloween fun. 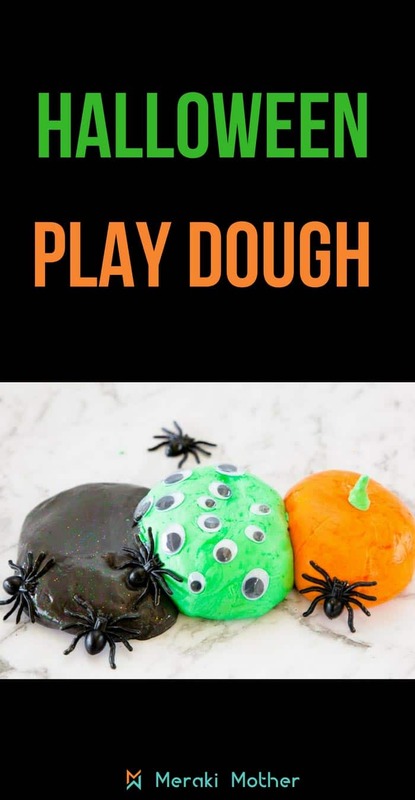 We have used one of our favorite sensory play dough recipes and a little bit of imagination to create three Halloween themed Playdough recipes. 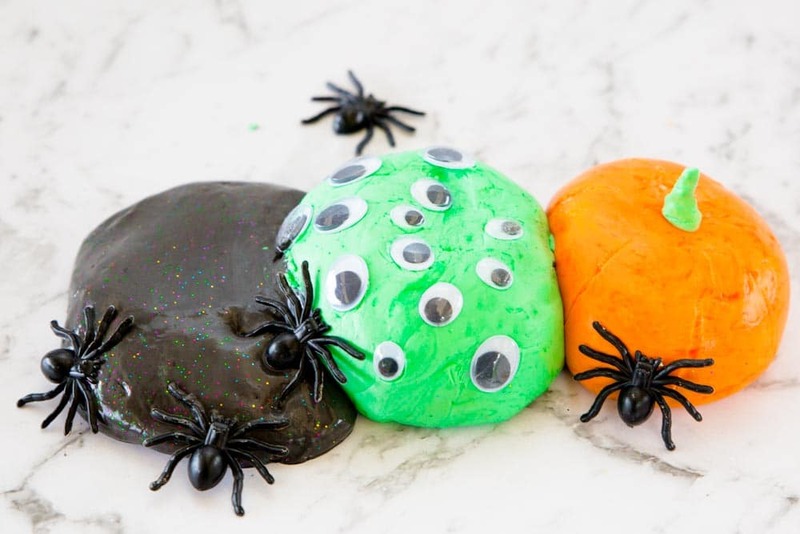 Choose from Pumpkin Spice Playdough, Green Ghoul Playdough and Magic Witch Playdough or make all three for a easy Halloween activity. 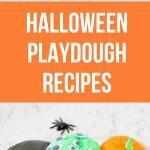 So read on to learn how to make homemade playdough for Halloween and Fall. 1.5 How Long Does Homemade Playdough Last? This gorgeous pumpkin scented playdough also makes a beautiful Fall Playdough. With its warm, inviting pumpkin spice scent it is a wonderful sensory play activity for kids. Pick your favorite playdough recipe. We chose our simple and fast 2-ingredient Playdough, also known as Cornstarch and Conditioner Playdough as that is all you will need! To make the pumpkin pie playdough all you need too add to this mixture is orange food coloring and pumpkin spice. Knead a little of the food coloring and pumpkin spice into the playdough mixture until you have the color and scent you want. We also dyed a little amount withgreen food coloring for the stalk but you could use a cute green pipe cleaner instead. 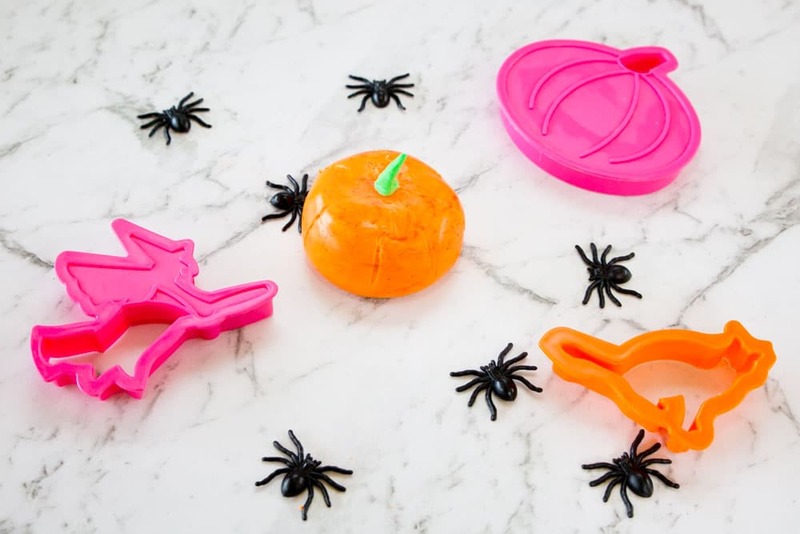 To help promote fine motor skills you could give your child some cute halloween cookie cutters or even some beautiful fall leaves to create shapes and patterns with the playdough. Love this idea? How about carving pumpkins with kids? 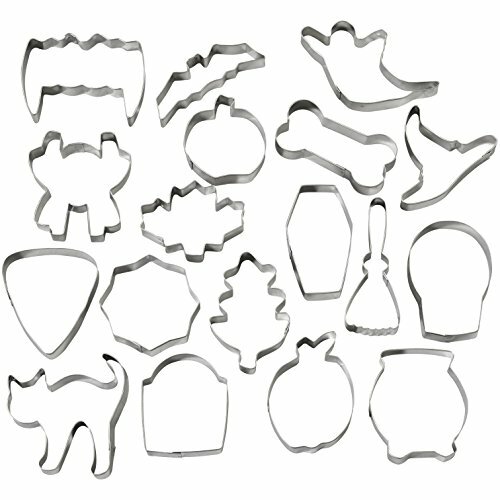 Check out our great post on pumpkin carving here. Again we used our easy 2-ingredient Playdough, but if you prefer to try something else we also have the best playdough recipe without cream of tartar. 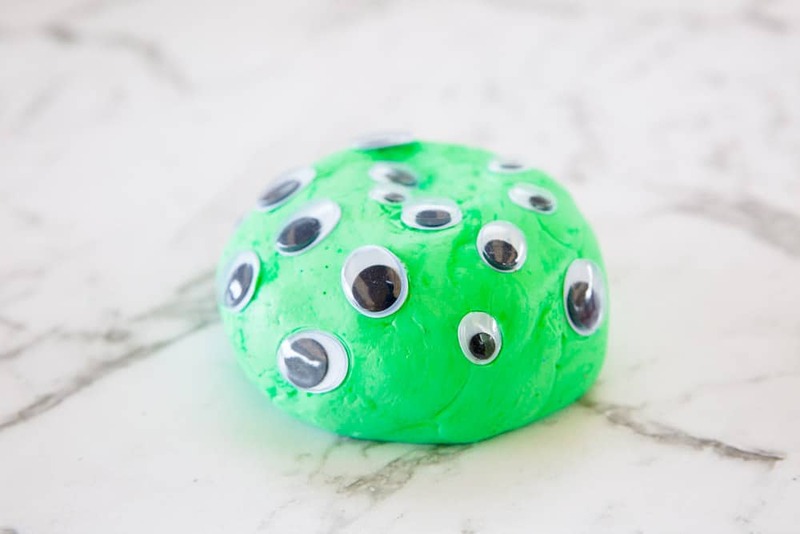 To make this Green Google Eye Playdough all you will need to add to your playdough mixture is green food coloring and a variety of google eyes..
Add you green food coloring until you have the dough the color you want and then place a few wiggle eyes on the dough. We made sure to get an extra big packet of google eyes as they will come in handy for lots of other halloween crafts for kids. My son decided to name this Monster Playdough and my husband nicknamed it Frankenstein Playdough, so let you child find the perfect name for it too. 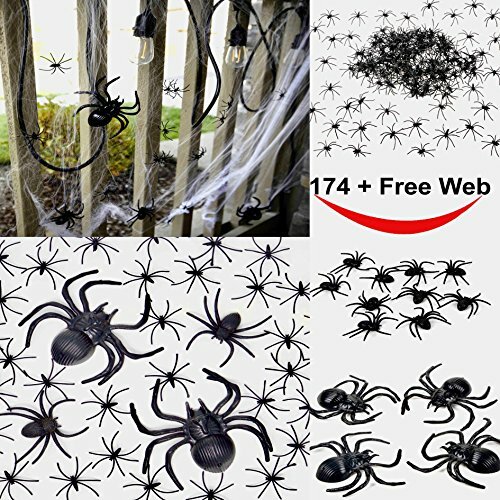 Like our cute Halloween spider decorations? Get them here. 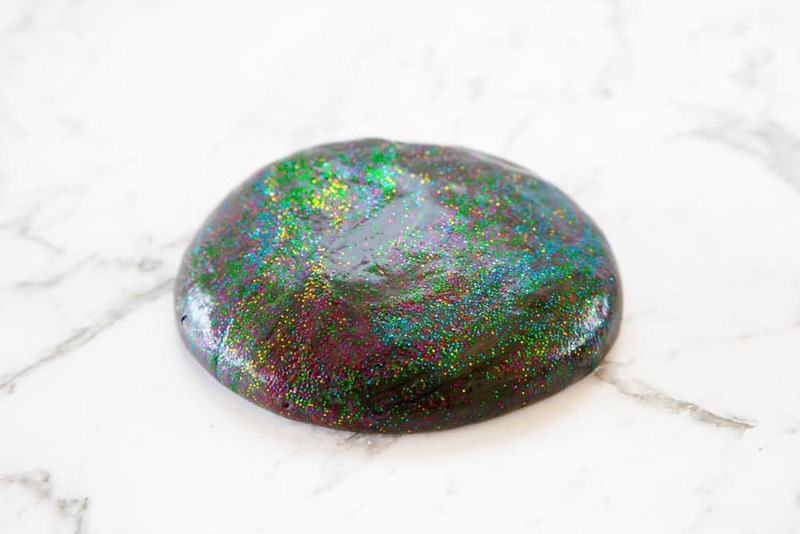 This gorgeous glitter playdough may just be my favorite halloween play doh. My kids were sure it was magic playdough! Creating a black playdough recipe is not difficult at all. Once you have your basic playdough mixture, slowly add black food coloring. The gel food coloring gives a more intense black and also will stop your playdough from being to runny. It is also sensible to wear gloves as it can get super messy. If your child is helping to make the playdough we would recommend using a plastic sheet to cover the table surface. 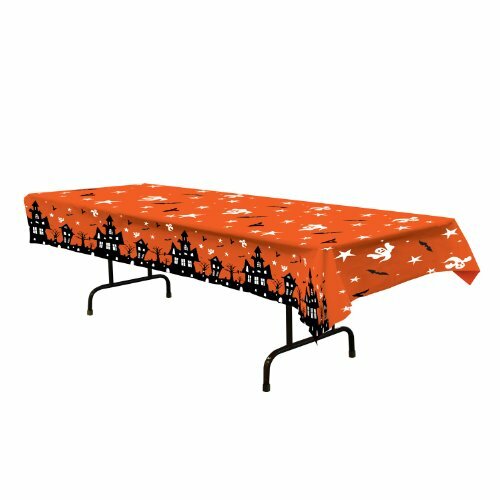 Why not make this part of the fun with a cute Halloween Table Cloth. It would be great for all the halloween games for kids too. 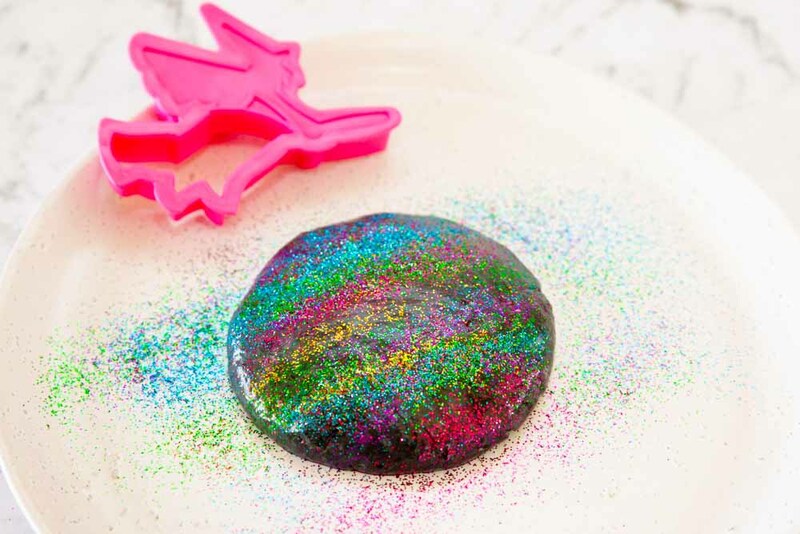 Once your playdough is black simply sprinkle glitter over the playdough. We used as many colors as we could but you could stick to an orange and green theme or any other colors you prefer. Then knead the glitter in gently. Playdough mats will only add to the fun and are great addition to the play based learning opportunity that sensory playdough provides. We think that the kids will love these free printable mats below. You just need to print and laminate the mats so the kids can keep on playing and having fun! 1. 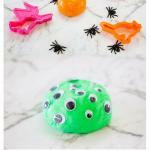 Fun witch playdough mat from A Little Pinch of Perfect. 2. Spider printable mat from Learn Create Love. 3. 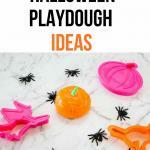 Pumpkin patch play doh mats from Living Well Mom. 4. Open ended Fall mats activity from This Reading Mama. 5. Halloween Freaky Faces from Teachers Pay Teachers. 6. Monsters playdough mats from M is for Monster. Always keep your playdough in air tight containers after finishing playing with it, this will ensure that the play dough lasts as long as possible. Cooked play dough normally has a longer shelf life than non-cooked playdough, however it is impossible to tell how long your playdough batch will last. Cooked playdough can last for several months while non-cooked playdough could last for several weeks. The shelf life however will depend on temperature and humidity conditions where you live, how the playdough is stored and hygienic aspects. Keep a batch date on the container and check if the playdough hasn’t changed its color, texture and smell every time you play.